Youth Summer Activities - Now! Parents, get ready, summer is almost here! I know you are on the lookout for awesome youth activities that will be both fun and educational. Be sure to check out the fantastic arts and culture summer activities offered for grades k-12 by The Cultural Alliance of Greater Birmingham. The Birmingham Public Library is offering Summer Reading Programs for children, teens and adults. Please check out your library's creatively themed collection of materials related to art, crafts, music, dance, theater, photography and writing. 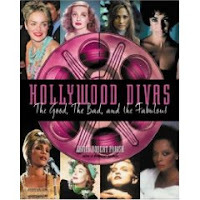 The library has all the cool new books, dvds and cds to help release your inner artist. Develop your artistic talents or discover new creative treasures! We are there for your summer reading needs! Click on the following links below to browse materials in your library catalog. If you do not find what you need, you may try more subject specific searches in the library catalog or investigate Interlibrary Loan. Remember, be creative and have a blast! Please join us as the North Birmingham Regional Library welcomes the Birmingham Heritage Band for a celebration of jazz music on Tuesday, June 2, 2009. The Birmingham Heritage Band is famous for playing jazz music from the Big Band era. All ages are welcome and light refreshments will be served. Visit the IMAX Dome Theater at McWane Science Center this summer, Tuesday, May 26 - Tuesday, June 23 for an incredible IMAX viewing experience: Night at the Museum: Battle of the Smithsonian. A giant 5 story tall dome screen and 3 tons of giant speakers allow you to go behind the walls of the the spectacular Smithsonian Museum Complex and have a truly interactive visit. In fact, this is the first major movie to be filmed inside the Smithsonian located in Washington, D.C. It's something you'll definitely want to check out! Please visit the McWane Science Center Website for movie dates and times. You'll see your favorite characters from the first film, as well a ferocious one ton T-Rex, an Egyptian pharaoh, Amelia Earhart's classic airplane and the extraordinarily enthusiastic 26th President of the United States, Teddy Roosevelt. Just think, you'll visit behind the walls of the Smithsonian Institution and see some of the actual artifacts housed there, including a T-Rex skeleton, Dorothy's ruby red slippers and historical gallery portraits. You will definitely see these sites and objects in a new and incredible way! But don't just sit there, go and see the film today! And while you're at it, see an exhibit, perform an experiment, tour the halls and go wild at the McWane Science Center this summer! Just remember to design, invent, and create! Don't forget to make reservations to spend a night at the museum on May 30 & June 6! Adventure awaits! Please click on the McWane Center Website for more details. Visit your library for materials related to Night at the Museum. Take a look at Night at the Museum for an online, interactive look at the movie. You'll see some of the sites and artifacts that inspired the movie! Join us for Summer Reading begining June 1. Visit any BPL location for details and to sign up. Great news! We have an exciting new BPL Adult Summer Reading Program to tell you about! Beginning June 1, Birmingham Public Library will offer "Express Yourself @ your library" for adults. So make plans now to kick back, relax and enjoy some alone time with a great book. Adults will be asked to complete an entry form, including name, contact information (phone or e-mail) and the name of the book you read. If you would like, you may also keep a log of the books you read during the summer. Libraries will have weekly drawings for small prizes. In August, a drawing will be held at Central Library for at least three big prizes and other additional prizes. Central Library will be participating in this program as well as the following branches: Avondale, Five Points West, Springville Road, North Birmingham, Pratt City, Smithfield, East Ensley, Inglenook, Southside, Titusville, West End, Wylam, and North Avondale. Please check with your local branch for program information. Get ready to "Express Yourself@ your library." There's no better time to begin your creative excursion! Join our summer reading program to fuel your imagination all summer long with books, DVDs, music CDs, and creative programs. Summer Reading begins June 1. It's summer and time to find new ways to Express Yourself @ your Library! Join us for a look into a world of summer fun and excitement! Wednesday, June 3, noon. 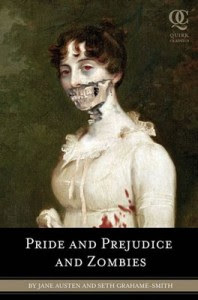 Pride and Prejudice and Zombies Are Attacking! OK. What classics lover could possibly resist these first lines? I’ve been daydreaming about some of these stuffy 19th-century characters being hacked into pieces since having to read Jane Austen's Pride and Prejudice for Dr. Kurata’s Victorian literature class at UAB. Surely I'm not the only one? In Pride and Prejudice and Zombies Seth Grahame Smith has perfectly blended Jane Austen's prose with some living dead action. In the quaint village of Meryton, a plague has turned the villagers into zombies and it's up to Elizabeth Bennet to make mincemeat out of some ghouls. But the arrogant Mr. Darcy shows up and Ms. Bennet finds herself in a battle of wills with Mr. Darcy and a battle of survival with the zombies. The blending of manners and the need to kick some zombie derriere has turned “a masterpiece of world literature into something you'd actually want to read." Bored students: rejoice. Zombies: watch your backs...or what's left of them. 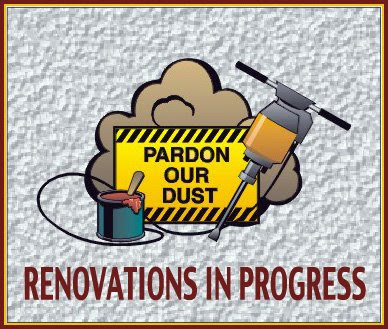 The Powderly Branch Library will close for renovations and the addition of a meeting/community room on Friday, May 22. Renovations are expected to take six months and the anticipated re-opening of the library is early 2010. While the Powderly Branch Library is closed, please use the Five Points West Regional or West End Branch Libraries. 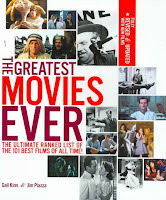 You love movies. You know you do, so just admit it. I love movies too. I went to see X-Men Origins: Wolverine last week and I LOVED IT. There is nothing like watching Wolverine slice up things on the big screen. I'm not talking about tomatoes either. The next movie I’m going to see is Terminator Salvation. I have seen all the Terminator movies and there is no way I’m going to miss the new one. I was a little wary of a “no-Arnold” Terminator movie, but he has enough on his plate trying to get a balanced budget in California. I can’t wait to see John Connor lead the resistance since the first three movies focused on keeping him alive. Where is all this going? I’m glad you asked. You know about new movies because you see all the trailers. They even advertise new DVDs that are coming out. So how do you find out about good movies that you missed? 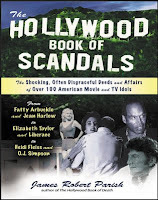 There are websites, of course, but you can also check out books on the subject. Are you addicted to TMZ? Do you love to know what goes on behind the scenes with your favorite celebrities? Well, take one of these titles with you to help heat up your trip to the beach. “By the time he [Bing Crosby] was in Los Angeles in the mid-1920s, the future star was a heavy drinker who frequented the Prohibition-era speakeasies, partying with fellow musicians and available women. 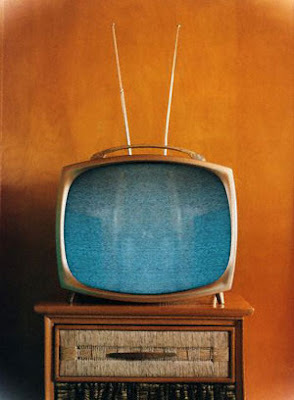 He got smashed almost nightly, but hardly ever missed a performance. . . ."
Effective June 12 TV broadcasting is going digital. To assist the public with this changeover, Delta 21 Resources will be in the Atrium of the Central Library to demonstrate how to connect digital converter boxes to televisions. They will provide the equipment for the demonstrations. This free program is funded by the federal government. Between 1900 and 1950, Sloss Furnaces maintained company houses throughout Birmingham’s industrial district. 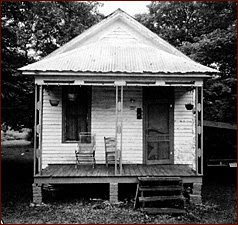 Sloss Quarters, the 48 shotgun houses adjacent to City Furnaces, were designed specifically for African-American workers. Sloss curator Karen Utz will use oral history interviews with former residents to reconstruct life in Sloss Quarters. Wednesday, May 27, noon. The stage is set. The Los Angeles Lakers and Denver Nuggets battle for dominance in the West, while the Cleveland Cavaliers and Orlando Magic compete to control the East. Seven games (if necessary) will determine who makes it to the Finals. 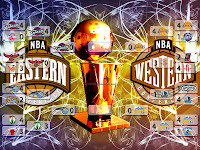 The 2008 NBA Champion Boston Celtics were eliminated in the conference semifinals by the Orlando Magic. It was an epic battle and it took seven games for the Magic to win the series. They face a rested Cleveland Cavaliers team who swept the Atlanta Hawks in the conference semifinals. The Los Angeles Lakers want to prove that they are still the best team in the Western Conference and hope to return to the Finals to avenge last year’s loss. They played a 7-game series against the Houston Rockets and face a Denver Nuggets team that only lost one game to the Dallas Mavericks in the conference semifinals. Be sure to check out the library’s subject guide on Basketball and visit the library to get books on your favorite teams and players. The Perfect Team: The Best Players, Coach, and GM, Let the Debate Begin! Celebrate Children's Book Week during May 11-17, 2009! It’s time to celebrate your favorite books - mystery, biography, romance, humor, and other fantastic tales, from mild to wild. Read fiction and nonfiction. Whether you’re meek or brave, a book can take you on an escapade. Just read! 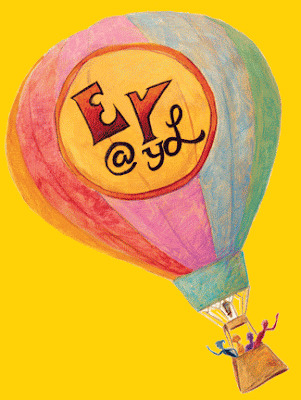 Check out the Children's Book Week website beginning May 13, 2009 for the Children’s and Teen Choice Book Awards winners. The votes will be in for Favorite Book of the Year, Favorite Author of the Year and Favorite Illustrator of the Year. Congratulations to all the 2009 winners! Save your place after you read some of those fantastic books by downloading the official Children's Book Week 2009 bookmark or the wickedly creative charmed bookmark. Be sure to sneak a peek at the Children's Choices list that is available all year long. Children across the country choose their favorite books each year and around 100 books are chosen. Be sure to check out Teenreads.com for some great teen reads, podcasts and author interviews. Also, check out Flamingnet Book Reviews. This site has book reviews and recommendations written by teens, for teens. You might consider submitting a review to this site yourself. If you're looking for great new books, you're sure to find one at these sites. Search the JCLC Catalog for a book. Also, take a look at New Children's Books and New Teen Books for May 2009. Consider creating a YouTube video or podcast with your friends concerning your favorite book. Let us know about your favorite author or book. If you are a teen, think about submitting your review to the Cyberteen Reviews and News Blog. Click here to submit your review. The Birmingham Public Library and MAX Transit have been chosen as "Community Partnership Locations" that Birmingham police officers will visit during their patrol shifts. Pam Lyons, Interim Director of the Birmingham Public Library, stated that the library is pleased to be included as a community partner with the Birmingham Police Department and other organizations. Officers will have an opportunity to complete police reports and use the library's computers and fax machines, if needed. It is a positive throwback to the days of the beat cop, where officers will have an opportunity to develop a relationship with neighborhood residents. Many people contributed and sacrificed for the cause of equal rights in Birmingham. 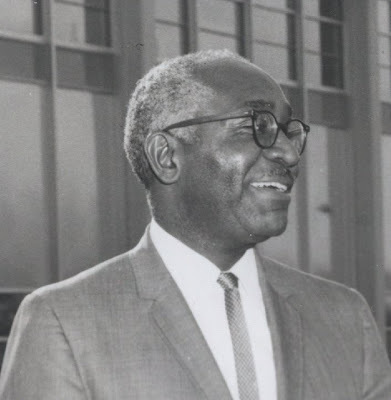 Birmingham historian John Wright will discuss the life and career of African-American educator and activist Lucius Pitts. Wednesday, May 20, noon. In AD 2540, all humans are created at the Central London Hatching and Conditioning Centre and born into 5 castes: Alpha, Beta, Gamma, Delta, and Epsilon. Alpha is the intellectual leader; Epsilon is the working drudge. A relevant book after 77 years considering made-to-order babies are peeking over the horizon. "War is Peace. Freedom is Slavery. Ignorance is Strength." Set in the "future" of 1984, civil servant Winston Smith tries to rebel against the omniscient Big Brother, and is broken. Having the year 1984 roll around was as much fun as twelve months of centennial celebrations. The media coverage of this book in 1984 was as invasive as Big Brother himself. It's a pleasure to burn, until Guy Montag meets a young girl who is living rather than existing, and he begins to question his job as a firefighter who starts fires instead of putting them out. The book stands as a reminder that volumes of literature beloved enough to be memorized by rebels on the fringe of society should never be taken for granted by a society free enough to read them. Is there anything more frightening than mob rule, even if the mob is a group of children? Or should that be especially if the mob is a group of children? Even among British schoolboys stranded on an island, absolute power corrupts absolutely, only this time the scepter and crown is a pig's head on a stick and a conch shell. Alex and his droogs strut the streets of a futuristic London, assaulting people whenever the mood hits. When convicted and imprisoned for murder, he volunteers to undergo reconditioning so that he can be cleared for an early release. But the reconditioning works too well and he becomes a "clockwork orange"--an organic being sapped of free will and turned into a mechanism that becomes ill at the mere thought of violence. Although the unedited version of this book runs over 1,100 pages, it has been my pleasure to read and reread it over the decades. A man carrying the Captain Trips virus crashes into a gas pump in Texas and begins the end of civilization as we know it. The 108-year-old black woman, Mother Abigail, and Randall Flagg representing God and Satan, respectively, gather their minions from every corner of America. A selected few of God's children make their heroic stand in Las Vegas, Nevada. The optimism of the survivors as they build a new America while mourning the old one makes for an unforgettable and poignant tale. These are just a few of the dystopian novels I've read, but there are many more I have yet to read. The public is invited to three Meet & Greet sessions for the Library Director candidates. The informal sessions will be held in the Boardroom on the 4th floor of the Central Library and will last approximately one hour. In Take Two, the second of Karen Kingsbury's Above the Line Series, filmmakers Chase and Keith have completed their first feature film. The producers’ dreams are on the verge of coming true, but the two friends discover that all that glitters is not gold and that success in Tinsel Town could cost them everything. Take Two arrives June 23rd, 2009. Click here to reserve a copy today. Also consider, Above the Line Series book one aptly named, Take One. 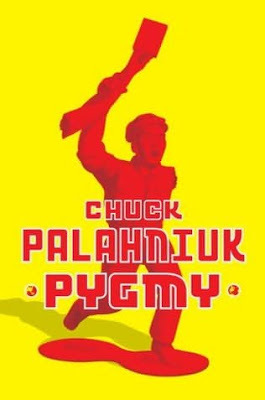 Only Chuck Palahniuk of Haunted and Fight Club fame would think to write a comedy about a group of these unlikely terrorists: foreign exchange students. The students arrive in a midwestern city with a plan to unleash Operation Havoc—a plot of mass destruction disguised as a science project. But the humiliations of high school and puberty keep getting in the way. Pre-reserve a copy of Pygmy today. Safe Haven, Wisconsin. Population 907. . . 906. . . 905. . .
A military helicopter crashes in the tiny Wisconsin town of Safe Haven. Unleashed is a Red Ops group of serial killers-turned-soldiers who go from house to house, business to business torturing the townsfolk for the answer to the question: Where’s Warren Streng? A sheriff, a firefighter, a single mom, and her 10-year-old son band together for survival and seek the answer to their own question: Why would the military drop on their quiet town a band of programmed, enhanced killing machines whose objective is to: Isolate. Terrorize. Annihilate? One by one South Haven's friends and neighbors meet the men who make up this special force: Ajax, a 7-foot giant whose first victims were his parents, whom he flayed with an electric turkey carver; Bennie, who grew from a child playing with matches into a man who likes to burn and eat his victims; Taylor, a serial killer snatched from death row who likes the crunch and saltiness of his victims’ fingers and toes; and Santiago, a painful manipulator of internal organs. Afraid gets one of the saddest and goriest starts imaginable when longtime married sweethearts Sal and Maggie are introduced. They bought a home on the lake where the nearest neighbor is miles away, but forgot that in the country no one can hear you scream. Around midnight Maggie hears the microwave beeping and smells burned popcorn. Doesn't Sal know that eating late at night is bad for his heartburn? She's about to go into lecture mode as she hears her husband casually munching popcorn outside her bedroom door. Then she hears her husband's boat driving up. When the trembling woman asks the intruder what he plans to do to her, he answers "everything." I guess the easiest way to explain Jack Kilborn's Afraid is that it's a cross between the writing of Jack Higgins and Jack Ketchum. 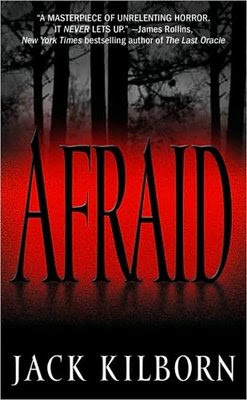 Afraid is Kilborn's first novel; let's hope it won't be his last. 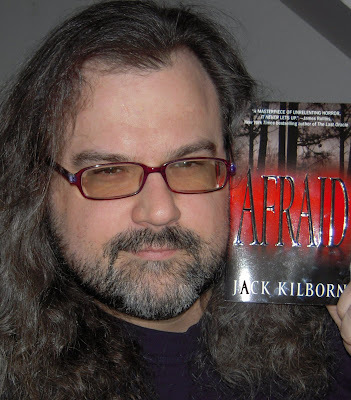 About the author: Jack Kilborn is the pseudonym of J.A. Konrath, author of the Lt. Jacqueline "Jack" Daniels series that include Whiskey Sour (2004), Bloody Mary (2005), Rusty Nail (2006), Dirty Martini (2007), and Cherry Bomb (2009). Konrath is also the editor of the hitman anthology These Guns For Hire (2006). His short stories have appeared in more than sixty magazines and collections, and his work has been translated into ten languages. 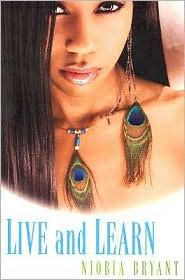 Can't wait to read the latest book by Nikki Turner, LaJill Hunt, and other urban fiction stars? Sign up to receive email notifications each month when the New Urban Fiction List is published on the library website and be the first to place your holds. 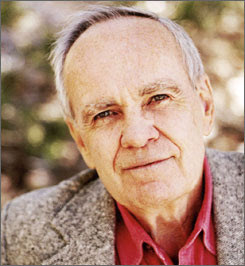 Cormac McCarthy, author of No Country for Old Men, The Road, and eight other novels, received the PEN/Saul Bellow Award for lifetime achievement in American fiction. The prize is worth $25,000. McCarthy, who shuns publicity and avoids author tours and interviews to focus on his writing, has been called "the best unknown novelist in America." 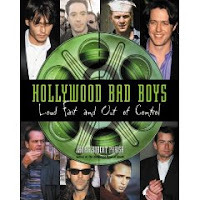 However, the popularity of the Coen brothers' movie adaptation of No Country for Old Men and the success of his dystopian novel The Road has turned a spotlight on this public-shy author. While McCarthy's books have garnered praise and awards—including a Pulitzer for The Road—he is not without his critics. Some have complained about his lack of punctuation, a writing style that he defends as not blocking up the page with "weird little marks." He truly believes that "if you write properly, you shouldn't have to punctuate." His answer to the questions about the gore and violence that permeate his books? "There's no such thing as life without bloodshed." The Birmingham Public Library will host a free one-day seminar for inventors, entrepreneurs, educators, legal professionals, and the general public. The seminar will be presented by the program staff of the United States Patent and Trademark Depository Library Program. The seminar will include an overview of patents, trademarks, copyrights, and trade secrets, as well as sessions on conducting patent and trademark searches and much more. 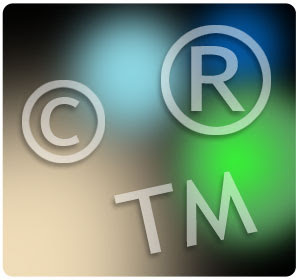 The agenda for “Researching Patent and Trademark Information” is listed below. For more details, please call Government Documents at 226-3620. Reservations are required and may be made by calling 205-226-3620 or by email at gov@bham.lib.al.us. Deadline for reservations is Friday, May 22. In addition to the numerous racially motivated bombings that occurred in Birmingham and other cities during the civil rights era, a wave of anti-Semitic bombings occurred across the South. 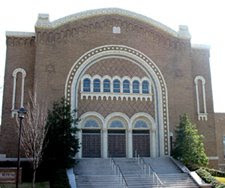 Birmingham historian Sol Kimerling will discuss the 1958 attempt to bomb Birmingham’s Temple Beth-El and examine the responses of the federal government and the local Jewish and non-Jewish communities. Wednesday, May 13, noon. The Birmingham Public Library is excited to host Score Big with Express Yourself and The Cotchery Foundation. Jerricho Cotchery, one of Birmingham’s native sons, has teamed himself and his foundation with the Library. Born in 1982, Cotchery grew up to be an incredible athlete. He excelled at Phillips High School in Birmingham and attended North Carolina State University. The New York Jets drafted him in 2004. In 2008, as a Jets wide receiver, Jerricho Cotchery caught 71 receptions for almost 900 yards, including five touchdowns. He has had a stellar career so far and is poised for a great 2009 season. Named for the famous Biblical city, Jerricho is deeply committed to his faith and to community outreach. He would like to encourage all students ages 11 to 15 to read by participating in the 2009 summer reading program. Qualified Birmingham Public Library Express Yourself Summer Reading participants will have the opportunity to attend the Cotchery Foundation’s 3rd Annual Skills and Drills Football Clinic for free. The Foundation will host the clinic on June 20, 2009, at Legion Field. Secondly, participants may attend a free bowling event at Lightning Strikes in Trussville, AL, on June 19, 2009. Each summer reading participant must score a minimum of seven points to qualify. Students may score points by several ways. Registering for the program scores one point, reading an entire magazine scores three points, and reading an entire book scores six points. Patrons may pick up the Score Big registration forms at all Birmingham Public Library locations. The registration forms are due by June 8, 2009. For more information, please contact the Literacy and Outreach Office at 322-6371. Jerricho and the Birmingham Public Library both look forward to seeing you this summer.